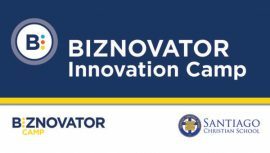 BIZNOVATOR | Blog - What Sets Biznovator Summer Camps Apart From The Rest? 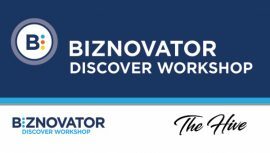 BIZNOVATOR > Blog > Entrepreneurs > What Sets Biznovator Summer Camps Apart From The Rest? 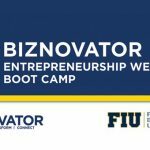 What Sets Biznovator Summer Camps Apart From The Rest? Most entrepreneurs will tell you that they knew there was something different about them, even at a young age. There may be things that you notice in your own child that makes you think that they have this entrepreneurial spirit. If this is something that you want to look into further, then entrepreneurial summer camps can be just what you have been looking for. 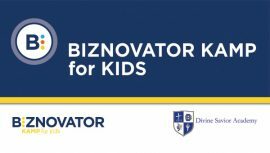 Biznovator entrepreneurial summer camps are the perfect place for your child to learn the skills that they will need to forge a successful career when they become adults. They will have a chance to practice the things that they have learned in a safe and focused environment. Many parents say that their child has a great deal more confidence after attending one of these camps. Children can attend from the ages of 8 to 20 and there is no limit to the amount of camps that they can attend so they are more then welcome to participate every year if they want to. They will engage in activities that will challenge them and encourage them to develop their problem solving abilities and help them to develop their entrepreneurial mindset. Younger children will be encouraged to spend time discovering what their passions are and to think of ways that they can develop their talents. This will give them a solid basis when it comes to starting their own business later in life. Older children will be given practical advice about setting up their own businesses including how to market them and attract investment for their business. All of the staff are experienced entrepreneurs as well as having all relevant qualifications to enable them to care for your children. You can also be confident that all relevant background checks will have been carried out on the staff at the camps. The camps are held for one or two weeks depending on the age of the children. All of the activities that are carried out are age appropriate for the children and are designed to challenge them while still being engaging. They will learn skills that they can still put into practice even when they have left the camp that will encourage them to further develop their entrepreneurial nature.